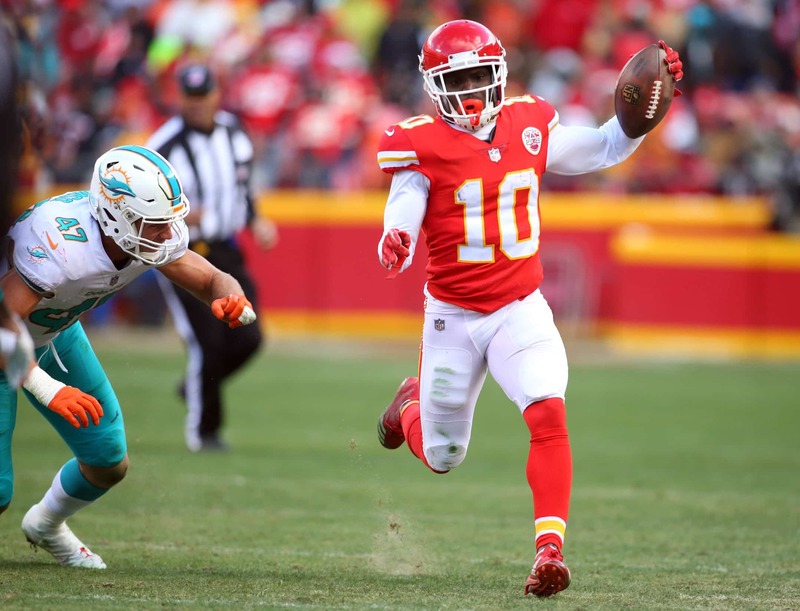 A month has passed since the news broke, and Tyreek Hill is still being investigated by police for two separate incidents of suspected child abuse. No charges have been filed against him at this point. On Monday he is expected to re-join his teammates as the Kansas City Chiefs open up their offseason workout program, per ESPN’s Adam Schefter. Chiefs’ WR Tyreek Hill will be in attendance at the start of the Chiefs’ offseason workout program today, per source. Police have been investigating two incidents of suspected child abuse at Hill’s home last month. Police had been called to Hill’s residence twice to investigate potential child abuse or neglect. His name was on the first police report, yet police did not include Hill’s name on the second report. Before he entered the NFL, Hill pleaded guilty to assault and battery of his then-pregnant girlfriend. She said he choked and punched her in December of 2014. Hill was ultimately given a three-year deferred sentence.